DETROIT (Bloomberg) -- BMW took the lead over Mercedes-Benz in U.S. luxury-auto sales at the halfway point this year with its best-ever June. Monthly deliveries for the BMW brand climbed 6.5 percent from a year earlier to 32,176 cars and SUVs. Mercedes posted a 5.8 percent gain to 28,044, also a June record. BMW holds a 3,653-vehicle lead over Mercedes, which won the annual title in 2013 and lost it to the BMW brand last year. Luxury brands benefited as U.S. auto sales capped their best first half in a decade and as less-expensive models such as BMW’s $32,950 3 series and Mercedes’s $31,500 CLA class broadened their appeal with younger buyers. 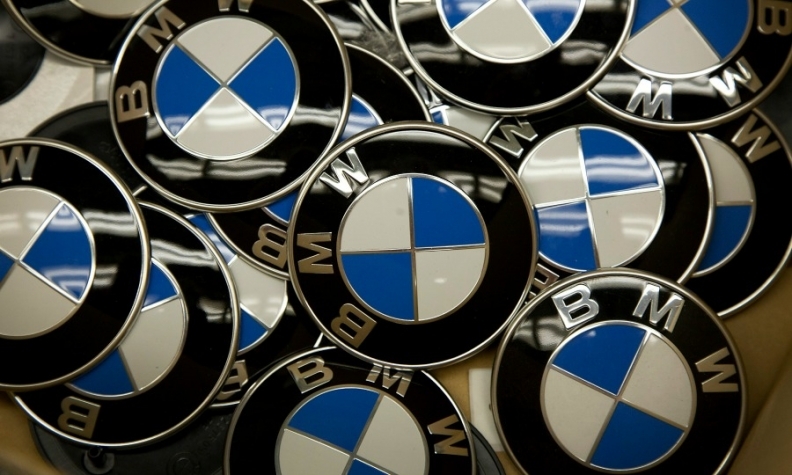 BMW was led for the month by increases of 69 percent for the 4 series cars and 89 percent for the X5 SUV. Sales of Mercedes’s entry-level models, the CLA- and C-class cars, each grew more than 40 percent, and the new GLA small SUV added 2,177 deliveries. Through June, sales rose 7.1 percent to 168,623 for BMW and 8.8 percent to 164,970 for Mercedes. The results exclude Daimler’s Sprinter vans and Smart cars and BMW’s Mini brand, which aren’t luxury vehicles. Toyota's Lexus reported an 11 percent increase last month to 26,121. The new NX SUV, which sold 3,503, accounted for the entire gain. For the year, Lexus deliveries have climbed 15 percent to 158,848. By registrations in the U.S. through April, Lexus was the leader, according to IHS Automotive data that showed 106,549 for Lexus, 103,581 for the BMW brand and 103,393 for Mercedes. Sales for Volkswagen AG’s Audi gained 8.3 percent in June to 18,262. That was the brand’s third-best month since entering the U.S. in 1970, following May sales that ranked second. The monthly increase, the brand’s 54th straight in the U.S., included 42 percent for the entry-level A3 and 14 percent for the Q7 SUV. For the year, Audi is up 11 percent to 93,615.